Art history is deeply implicated in these examinations, and perhaps especially in the context of related current and energetic discussions about the state of the humanities. What began as a critical reevaluation of the art history survey and its seductive, fully naturalized (or at least ostensibly self-evident) orientation to the West has been augmented ––and perhaps in the end eclipsed––by a more wide-ranging conversation about the means and ends of a world art history. The title of Paul Gauguin’s 1897 painting cuts to the heart of the matter here: Where Do We Come From? What Are We? Where Are We Going? As they did for Gauguin, these questions orient us to matters not only of historicity, but also of personal, or in this case, disciplinary mythology. If art history were to paint such a manifesto picture, what would it look like? Which of our origins would we embrace? How would we envision our future? The volume is far from a straightforward historiographic account. Instead, it charts a very particular slice through the tradition “set in motion primarily by Hegel, and particularly, but not exclusively . . . taken up and transformed by a body of French thought emergent in the 1950s and after” 3. Among the figures we encounter in this landscape are Alois Riegl, Heinrich Wölfflin, Aby Warburg, Walter Benjamin, Erwin Panofsky, Jacques Lacan, Meyer Schapiro, Maurice Merleau-Ponty, Roland Barthes, Hubert Damisch, and Michael Baxandall. Thanks to the volume’s argumentative machinery, the book takes the form of engaged historiography. The authors intend the text to stimulate a newly emboldened, critically aware, and theoretically enriched future for art history. Herein emerges the “radical provocation” at the project’s core: that art history “is yet to be invented,” that its future lies largely in the hands of individual art historians, and that the location of and means to this imagined future “is just the reading of art history’s writing” (4–5). 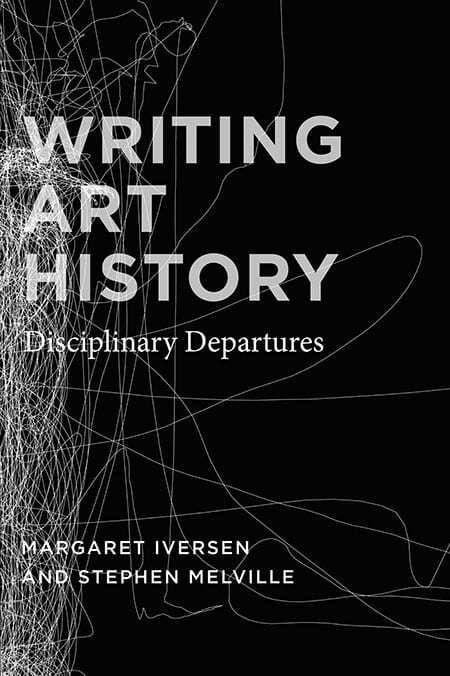 For Iversen and Melville, this legacy of writing constitutes both the past and future of art history. Structured as series of episodes that isolate and interweave longstanding and ever-present disciplinary preoccupations, the book’s shape––perhaps best captured by the form of a helix or Möbius strip––bespeaks its fundamentally Hegelian logic. Much hinges on the answer to the questions: which writing, and whose legacy? The volume’s energy owes a great deal to its spirited repudiation of the disciplinary inheritance represented by Panofsky, who served as art history’s Kantian “midwife” (the apt term is Stephen Bann’s) by delivering on the discipline’s nineteenth-century bid to the status of Wissenschaft. In his well-known 1940 essay “The History of Art as a Humanistic Discipline,” Panofsky famously asserted the fundamentally humanistic principles of art history, stressing an orientation to “a conviction of the dignity of man, based on both the insistence on human values (rationality and freedom) and the acceptance of human limitation (fallibility and frailty).” These commitments formed the ground plan for a disciplinary focus on “insight into the manner in which, under varying historical conditions, essential tendencies of the human mind [are] expressed by specific themes and concepts.”4 Despite its transcendentalist protocol, this essay also (and poignantly) shows Panofsky grappling with the challenge of reconciling a system––any system––with the artistic facts on the ground: “The art theorist . . . whether he approaches the subject from the standpoint of Kant’s Critique, of neo-scholastic epistemology, or of Gestaltspsychologie, cannot build up a system of generic concepts without reference to works of art which have come into being under specific historical conditions.”4 Perhaps Panofsky’s greatest legacy is the system he established to work through just this challenge. It is above all Panofsky, father of iconology, and thus “father of method,” who is under fire in Writing Art History. In 1986, Svetlana Alpers described “iconography according to Panofsky” as “the most commanding definition of meaning in the visual arts in [the twentieth] century.”5 As Iversen and Melville posit, Panofsky’s exemplary status remains undiminished. Indeed, their sense of the pervasiveness of his approach puts one in mind of Terry Eagleton’s observations about the power of ideology being tied to its invisibility. So thoroughly has art history absorbed the terms of Panofsky’s project it could be understood as something like le vrai of the discipline: “Panofksy’s understanding of what constitutes art history is so deeply embedded in our thought that we are scarcely aware of it and tend to imagine that we have somehow moved further beyond his fundamental terms than we actually have” (10). If the appeal of Panofsky’s project is due in large part to its apparent scientism, the seeming objectivity of his three-step model––famously crystallized in his synoptic tables––has ensured iconology’s ongoing presence in art history methods classes. For Iversen and Melville, such classes are the curricular symptom of a more widespread disciplinary blindness or, at a minimum, lack of self-consciousness. In their estimation, the perniciousness of such a conventional pedagogical approach turns on the implication that “there is a field of freestanding objects (visual art and architecture) and that certain specialist tools and techniques must be wielded by the art historian in order to study them” (7). This critique is levied equally at practitioners of art history and of visual culture insofar as both constituencies are guilty of relying on “the same general principle of objective knowledge” (152–53). In response to the long after-burn of Panofskian and Gombrichian efforts to “set art history on epistemological ground broadly shared with modern science” (152), they offer an image of art history as a fundamentally discursive tradition, a modern discipline informed by its proximity to criticism. Bound to writing that “show[s] its object,” the art historian, like the critic, is engaged in “showing that is inevitably also the performance of a judgment” (9). These emphases provide the basis for the book’s reordering of the notional relationship among art historian, art object, and method. Countering the ubiquitous principle of exteriority–– according to which methods or tools are deployed by art historians vis-à-vis freestanding art objects––the operative model proposed here is that through its writing, “the history of the discipline has created the field of objects” (7, emphasis mine). As a result, in Writing Art History, the fundamental question is, what kinds of objects do (and can) art historians make? The chapters that follow give shape and texture to the authors’ aim to recast the tradition of art history as “the continuous unfolding of a complex conversation” (7). Between the volume’s bookends, chapters devoted to method and curriculum respectively, seven essays make good on the promise to bring into closer contact the preoccupations of contemporary art-historical writing with the conceptual foundations of the discipline. Organized according to a series of thematic, critical circuitries, these chapters frame discussions that range widely across philosophical aesthetics, contemporary theory, and art history. A set of repeating motifs provides a scaffolding for these investigations, and demonstrates the vitality of such topics as the nature of vision and spectatorship (chapters 5 and 6) and the challenge of writing about seeing (chapters 7 and 8). The chapters are constructed according to a logic of pairings, triangulations, and networks. While the text speaks with the pronoun “we,” chapters are individually authored, a fact the careful reader will discern even without the aid of the footnote key to cuthorship. The second chapter, written by Melville, introduces the first of these pairings, perhaps in this instance better described as a face-off or showdown; Melville returns to Panofsky and Baxandall, and their respective philosophical inter­locutors: Kant on the one hand, Hegel and Heidegger on the other. Taking up the fundamental art-historical problem of historical distance, Melville plots Panofsky’s pledge to the possibility of objectivity, and thus to art-historical interpretation shored up by “scientific” rocedures of method most explicitly articulated in Panofsky’s 1939 essay “Iconography and Iconology.” Set against Panofsky’s bid for “bridging” the historical gap is Baxandall’s “spanning.” Baxandall’s use of the Firth of Forth Bridge is here proposed as both the model for historical inference, and as a figure for his keen awareness of rhetorical construction. An “inferential criticism” is at once sensitive to the fact of its existence as art writing even as it offers real skepticism about the degree to which “we can really penetrate the intentional fabric of other cultures or periods and whether we can adequately validate claims to do so” (36). Baxandall emerges as the clear (and unsurprising) victor in the contest, establishing the terms of an art history that embraces its proximity to criticism, shrugs off the mantle of expert objective authority, and refuses the lure of method. A further demonstration of the limitations of iconography and iconology follows in the subsequent chapter, in which Iversen triangulates Panofsky, Warburg, and Benjamin by way of their respective analyses of Albrecht Dürer’s Melencolia I. With the engraving operating as a pivot, the three voices––and three projects––take impressively clear form and speak directly to “the limits of interpretation” of the chapter’s title. The point here is clearly made; the range of readings of the image––from Panofsky’s scrupulously exhaustive rendering of the image as Kantian allegory, to Warburg’s quite different sensitivity to the encounter staged in the engraving between the intellect and malign influences––cannot be accounted for in purely iconographical terms. Iversen’s analysis underlines the subjective nature of the three projects, which also reveal “fundamentally different ideas about art and the history of art” (40). The fourth chapter queries “what the formalist knows” by bringing together Heinrich Wölfflin and Clement Greenberg (with a late appearance by Michael Fried), taking as its primary focus Wölfflin’s The Principles of Art History: The Problem of the Development of Style in Later Art. This chapter provides just one excellent case in point for why the “reintroductions” offered in Writing Art History are important and even at times revelatory. In this instance, Melville radically recasts Wölfflin’s discussion of the styles of classical and Baroque such that it can no longer be understood as a text that provides “as it were, a method for sorting images into two discrete piles, one classical and one Baroque” (64). Melville’s subtle reading alerts us to the surprising flexibility of Wölfflin’s account of Dürer. The artist is first deployed in relation to Frans Hals as exemplar of the Baroque, only to later be mobilized in comparison with Martin Schongauer as an instance of the classical. Close reading, Melville shows us, yields a new appreciation of the striking mobility of meaning at the heart of the project. This is no small matter. Taking this episode as exemplary, Melville reframes Wölfflin’s text as less concerned to fix the meanings of categories insofar as it seems to insist on the dynamic relations of its objects. Here the “deep shape” of Wölfflin’s formalism is revealed to be fundamentally recursive and retroactive (78–79). As a story of art’s mobility and relationality, it is likewise a vivid testament to the rhetoricity of the discipline. This view of Wölfflin and the pressure put in the Principles on “art’s appearance” sets up the chapter’s turn to Greenberg and Fried. Greenberg’s preoccupations with experience and the threat “that we no longer know what to make of our experience, do not know well what counts as experience” (84) finally returns us to the observation––redolent of Baxandall––that “our access to art’s appearing does not go apart from the hazarding of our words and experience” (88–89). Later chapters echo and further expand the book’s inquiry into the problem of writing about visual works of art. Chapter 7 probes the work of art’s reducibility to language, taking off from Jean-François Lyotard’s Discours, figure, his critique of the poststructuralist tendency to consign the visual and figural to a secondary position in relation to language and discourse. Merleau-Ponty, Barthes, Rosalind Krauss, and Schapiro also appear in Iverson’s exploration of recent debates between poststructuralist and phenomenological positions, through which she attempts to move beyond the “debilitating dualities” of “seeing” or “reading” (129). In chapter 8, Melville focuses on the explicitly Hegelian writing of art’s history, with particular attention directed to the shape of the developmental model laid out in Hegel’s Lectures on Fine Arts. The “plasticity” Hegel positively associated with classical sculpture opens suggestively onto broader reflections on the situation of modern art history, in which “our words cannot be fully disentangled from their objects . . . and that our words are everywhere traversed by a plasticity that cannot be fully secured” (171). If the “writing” of the title has, over the course of the book, been placed under ever-increasing pressure, here as in the previous chapter the stress falls on the continuity of language––in all of its “ineluctable obduracy”––and “the condition of art” (173, 14). Placed roughly at the center of the volume, the book’s fifth chapter is devoted to “the spectator” and is primarily concerned to track a genealogy of the spectator via Hegel’s phenomenology. Careful exposition of Riegl’s theory of the Kunstwollen and his project broadly speaking is critical here, because he “pioneered a way of thinking about the axis of the spectator’s relation to the work of art and the historical evolution of that relation” (91). Iversen is an ideal guide to Riegl’s dialogue with Hegel, from Hegel’s exploration of the “perceptual and affective relations one has to sculpture and painting” in his Aesthetics: Lectures on Fine Arts (based on lectures first delivered in 1820), to Riegl’s Problems of Style (1893) and The Group Portraiture of Holland (1902) (90). The enduring legacy of Riegl’s debt to Hegelian aesthetics is likewise in view, and is traced to Leo Steinberg (who leaned heavily on Riegl’s formulation of internal and external coherence in his analyses of Pablo Picasso’s Demoiselles d’Avignon and Diego Velázquez’s Las Meninas) and to Fried (who did not claim Riegl as an interlocutor––but perhaps might have––in his 1980 Absorption and Theatricality: Painting and Beholder in the Age of Diderot). The chapter culminates with a turn to sculpture and Robert Morris’s interventions into discussions of the paragone, or competition between the arts of painting and sculpture. Morris’s aim to rewrite sculpture’s priority in relation to the spectator is here taken as further proof of the enduring power of Hegel’s phenomenological aesthetics. Morris’s considerations of sculpture broadly refute Hegel’s description of the medium’s self-sufficiency. In Hegel’s estimation, sculpture stands in stark contrast to painting, which engages the spectator dialogically insofar as it involves “the recognition of the mind-constituted nature of our objectivity, and it offers an occasion for reflecting on it” (91). But this is one moment in which the Hegelian frame is limiting, since one of the voices Morris channels here is that of Johann Gottfried Herder. Rooting himself in the sensualist and empiricist tradition, Herder provided a blueprint in Sculpture: Some Observations on Form and Shape from Pygmalion’s Creative Dream (1778) for Morris’s description of the distinct perceptual experience of sculpture. Against painting’s instantaneous view, sculpture activates “corporeal feeling” ––embodied, extended viewing in time and space.6. Iverson’s ultimate move however, is beyond the paragone, by way of Merleau-Ponty, who effectively leveled the playing field in The Phenomenology of Perception. Merleau-Ponty’s argument, that “the thing is inseparable from a person perceiving it, and can never be actually in itself,” suggests for Iversen that likewise, “the work of art can never appear ‘in itself,’ for it is inevitably part of a complex ‘installation’ we call the history of art, which encompasses both viewer and viewed” (108). Merleau-Ponty returns in chapter 6, where the viewing subject is further refined with a specific eye to perspective construction and “the gaze.” Merleau-Ponty is here joined by Lacan and Damisch in a chapter devoted to systematically considering fundamental critiques of perspective as a system that secures a position of disembodied visual mastery. In its multivoiced complexity, its contrapuntal organization, and its deeply intellectual orientation, the book might be best described as operating according to a fugal logic. The pairings and constellations of art-historical thinkers, writers, and theorists created in these episodes often take the form of substantial “reintroductions,” and are anchored by close readings of texts. The resulting book is thus at once thematically selective and capacious: an echo chamber of voices and interpretations. It is also exceedingly artfully organized as the exposition above only begins to suggest. Numerous threads weave throughout the text and yield a sort of call-and-response effect. Among these are artists (Dürer appears in chapters 2, 3, 4, and 6), concepts (the several formalisms on offer: Wölfflin, Greenberg, and Riegl), and art historians (among them Panofsky, Wölfflin, and Riegl). 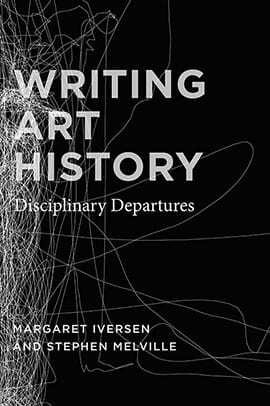 Among the art historians past and present are of course Iversen and Melville, whose voices emerge forcefully in their respective chapters. In this way, the writing itself demonstrates the desire to emphasize individual interpretive inflections with all of the idiosyncrasy, particularity, and disruption that this entails. One of the benefits of the work’s prismatic structure is that it allows for something quite different from a chronological narrative of development among art-historical thinkers, writers, and theorists. Instead, it bears the traces of a Benjaminian model of history, wherein the past irrupts into present, at once as ruin and as touchstone for contemporary (and perhaps redemptive) contemplation. Written by two scholars who have long focused on critical and theoretical matters, the physically slender volume masks the weight of its erudition. On the whole, it operates at a very high level of sophistication and is best encountered with some fluency with major players. The text takes off from and works in dialogue with the deep, rich historiographic studies of the kind authored by Michael Podro, Michael Ann Holly, Margaret Olin, and indeed Iversen herself. That said, the authors are nevertheless to be commended for their work to make the book manageable for those not already immersed in this literature. Among the pleasures of the volume are the careful, extremely lucid, expositions of key players and concepts. Highlights include Panofsky’s intellectual trajectory (including his relations with Heidegger, and with Kantian philosophy), Riegl’s Kunstwollen, Wölfflin’s Principles, and the stakes of Laura Mulvey’s “Visual Pleasure and Narrative Cinema.” One might fairly observe that this cast of characters doesn’t particularly need introduction at this point. Indeed the critique could be raised: aren’t these authors already familiar players, and haven’t they already enjoyed their day in the art-historical sun? If the new constellations of figures and texts composed by Iversen and Melville go a long way toward mitigating this plaint, the larger question remains open: how does the case made here equip us for an ever-widening expanse of art-historical inquiry, especially as we chart the terrain of an explicitly intercultural art history? The institutional politics looming large over the book’s writing come into sharpest focus in the final chapter, “Curriculum.” The authors’ overarching critique of “taking theory as method” is here shown to be far from an arcane matter of debate as it is forcefully placed in relationship to the broader educational setting of the contemporary university (174). Moving from Heidegger to Bill Readings, to Ernst Gombrich, Wölfflin, and Jacques Derrida, Melville subtly and systematically links the book’s case for writing––and reading––to a critique of the modern university and its philosophy of curriculum. If the book on the whole takes a fairly hostile posture to instrumentalization––and how better to describe reading theory for method?––the authors nevertheless intend their argument to spur thinking, conversation, and indeed transformation. This concluding chapter is oriented precisely to the question of the “consequences” entailed by the book’s reflections and reintroductions. Following these consequences to their logical conclusions leads us beyond the typically closely drawn boundaries of current art history departments to engage “the ways in which we imagine and participate in the reproduction or transformation of an intellectual practice within the larger institution of the university” (174). In this construal, the stakes of art history’s relationship to theory are vitally and intimately linked to the possible futures of faculties and curricula. The chapter deftly navigates between Heidegger’s reflections on the university and the art object before ultimately returning to consider the matter of art history curriculum. Along the way, Heidegger’s Bestand (“stock” or “standing reserve”) is deployed to crack open and reimagine the relations between art-historical interpretive traditions represented by Gombrich and Wölfflin. Gombrich (like Panofsky before him) signed on to an idea of the world “taken to be available (however problematically) for picturing” (181), a position not unrelated to what Heidegger had in mind with his invocation of the “standing reserve”––”the world as a set of things ordered to view” (178). Quite differently, for Wölfflin (as for Heidegger), “there is only visibility and a certain historical play within visibility without any particular room for . . . asking about the adequacy of a picture to something outside of it” (181). Sarah Betzer is associate professor of art history at the University of Virginia. She is the author of Ingres and the Studio: Women, Painting, History (Penn State University Press, 2012). Her current research examines artists’ encounters with antique figural sculpture after the discoveries of Herculaneum and Pompeii and in the age of aesthetic theory. This review originally appeared in the Summer 2013 issue of Art Journal.